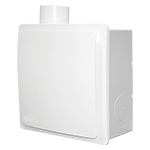 The Monsoon Zone 1 Silence range is the latest innovative domestic ventilation solution. 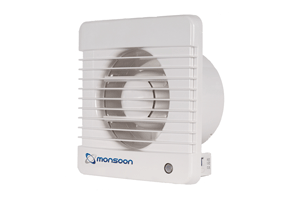 Providing high extraction rates with low energy use and exceptionally quiet running levels, the Monsoon Zone 1 Silence range is now even better. 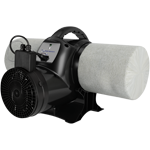 The bathroom fan comes with a long life ball bearing motor and a silent back draft shutter preventing air travelling back up the duct and into the room. Product code - MONS100, MONS100T, MONS100HT, MONS100PC, MONS100PIR, MONS125, MONS125T, MONS125HT, MONS150, MONS150T, MONS150HT. 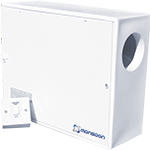 The Monsoon Zone 1 Silence Style range is the latest innovative domestic ventilation solution providing high extraction rates with low energy use and exceptionally quiet running levels. 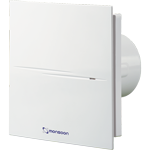 The Moonsoon Energysaver Zone 1 kit range is the complete package for a high performance, low noise, low energy IP45 fan suitable for Zone 1 areas. 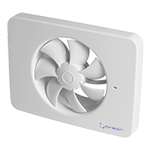 The Energysaver MON-CON is a continuous running 100mm panel axial fan for kitchens and bathrooms. The flat fascia discreet styling is great for reducing the impact on interior design and using the appropriate fixing kit it can be either panel or wall mounted. The Monsoon Energysaver VN 3 speed centrifugal fan range has been designed for either standard or flush wall mounting and delay timer or humidistat options. 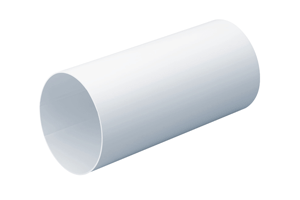 This range is suitable for Kitchens, bathrooms and toilets. Product code – MON-VN, MON-VNV. 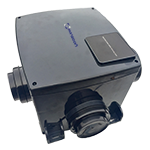 The Monsoon Energysaver multi room product is a mechanical extract ventilation unit which has been designed for continuous extract of stale air from separate areas around the home or for commercial applications where a multipoint extractor system is needed. 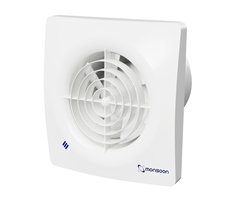 The Monsoon Energysaver DC multi room product is a mechanical extract ventilation unit which has been designed for continuous extract of stale air from separate areas around the home or for commercial applications where a multipoint extractor system is needed, including toilets, changing rooms and cubicles. 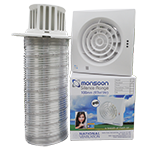 The Monsoon Energysaver Positive Pressure System is designed for use in almost all property types with both loft and wall units available PPS works by gently introducing tempered air into the house curing even stubborn mould and condensation issues. 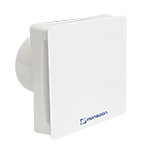 The Monsoon Energysaver Positive Pressure System is designed for use in almost all property types with both loft and wall units available PPS wroks by gently introducing tempered air into the house curing even stubborn mould and condensation issues.